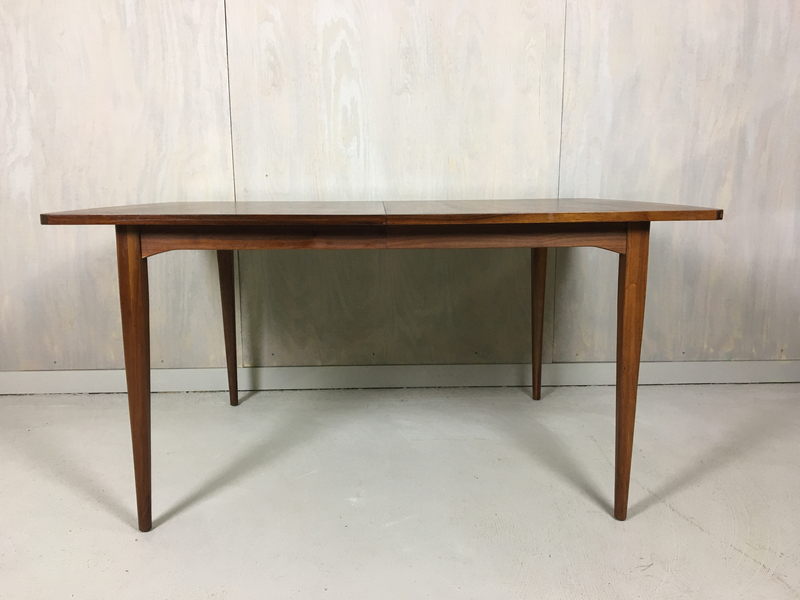 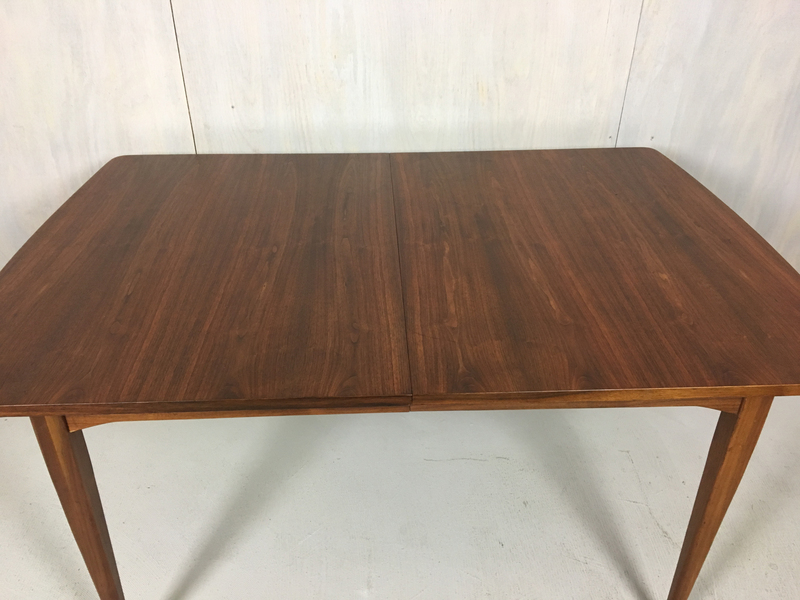 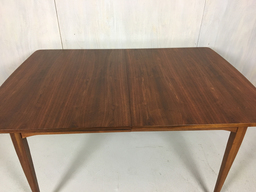 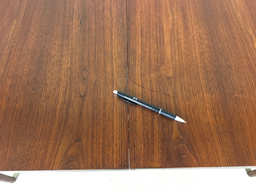 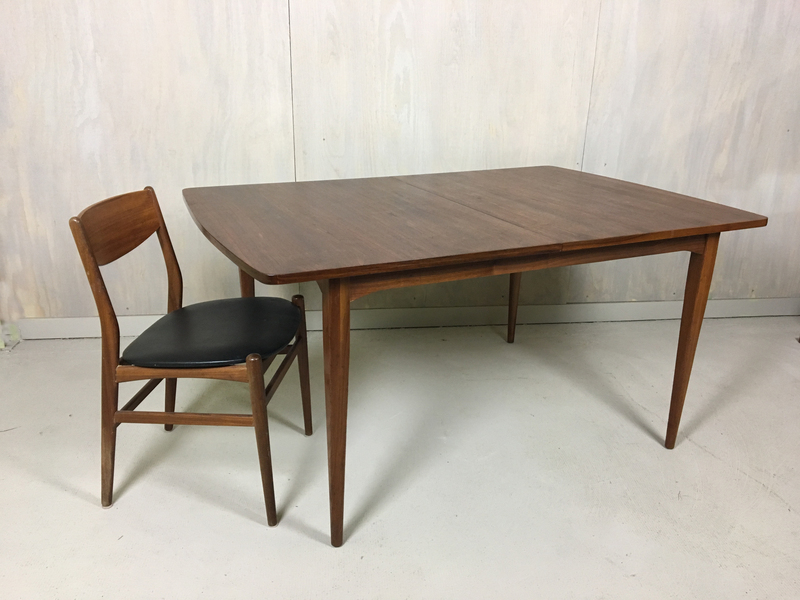 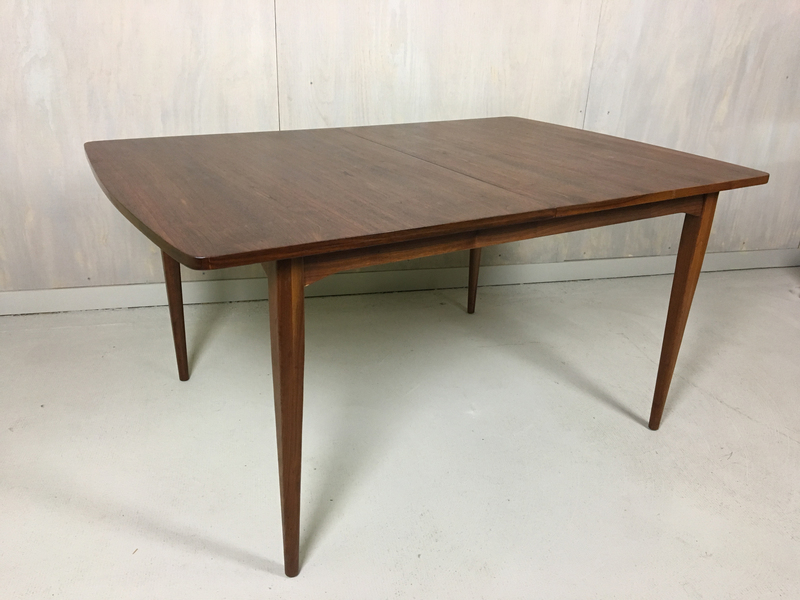 Simple and elegant, this mid century dining table with rounded ends and tapered legs was produced by Drexel for the Declaration line. 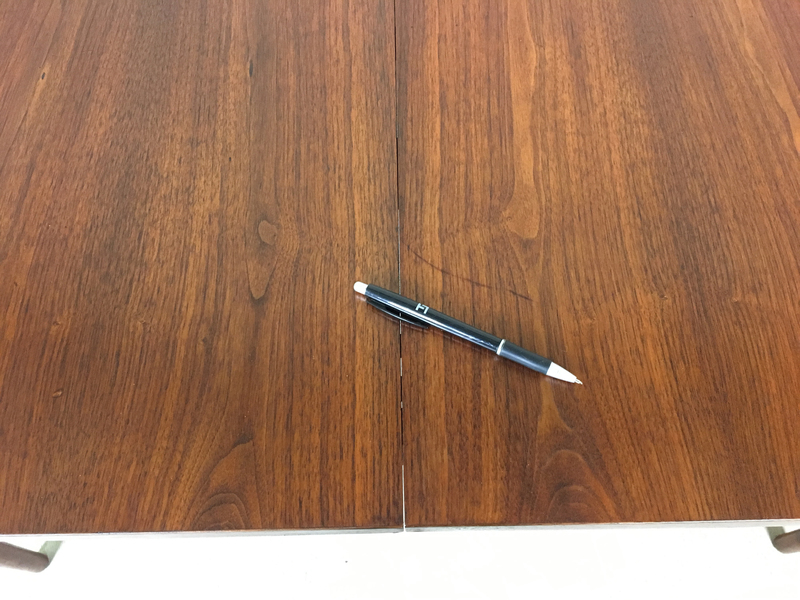 It features dramatic walnut grain and a 22" leaf. 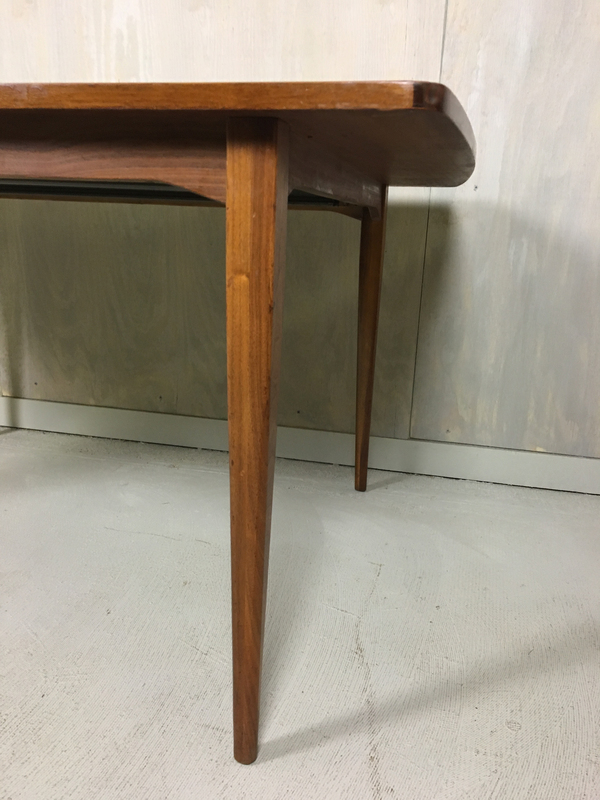 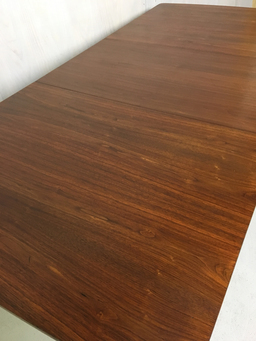 The piece has been refinished and is in excellent condition with only minor marks of age.